FireIce is an exciting product made by Geltech Solutions, the latest addition to our list of manufacturers. FireIce is the latest technology in fire prevention and the suppression of electrical events. 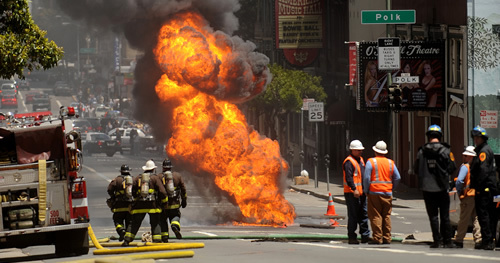 Use FireIce on manhole fires, pole fires, apparatus, as well as other applications. Extensive testing has proven the ability of FireIce to quickly extinguish fires, reduce and isolate carbon monoxide, and reduce other toxic emissions. FireIce increases both employee and public safety while it is eco-friendly, safe, and green. FireIce products are available for both overhead and underground utility systems.